In September 2018, the trustees and committee reviewed and evaluated our previous three-year strategy and began the process of developing a new one for the next three-year period. In the process of defining a new strategy we consulted our existing overseas partners in order to understand their priorities for the coming years, and for us to endeavour to address the needs of the communities we support. 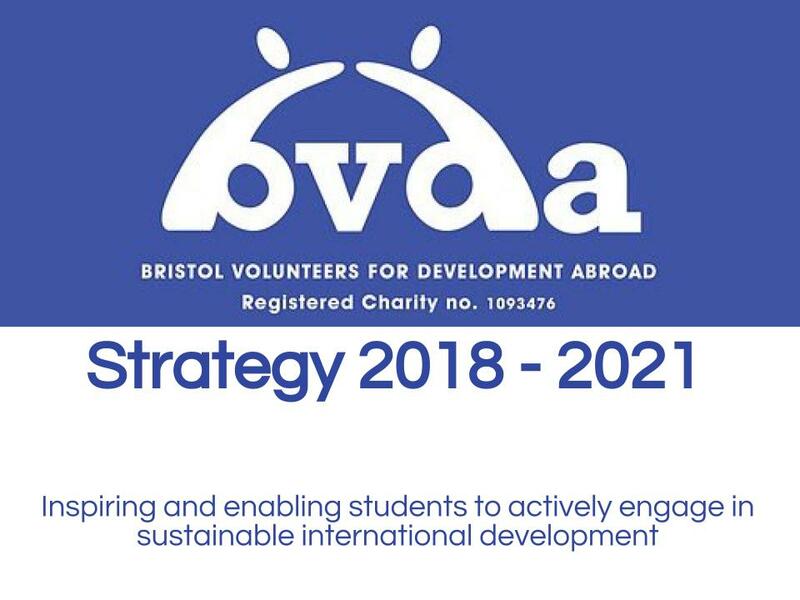 We also reviewed the context BVDA works within; we explored the development sector, social action and student volunteering, and then international volunteering in particular. Following this review, we updated our objectives to clarify and reflect our priorities and we set out a comprehensive and ambitious three-year plan to help us reach these and our overall vision. ​The trustees signed off the new strategy on the 30th September 2018. Each trustee is responsible for a particular strand of the strategy so that each area can be promoted, supported and held to account.